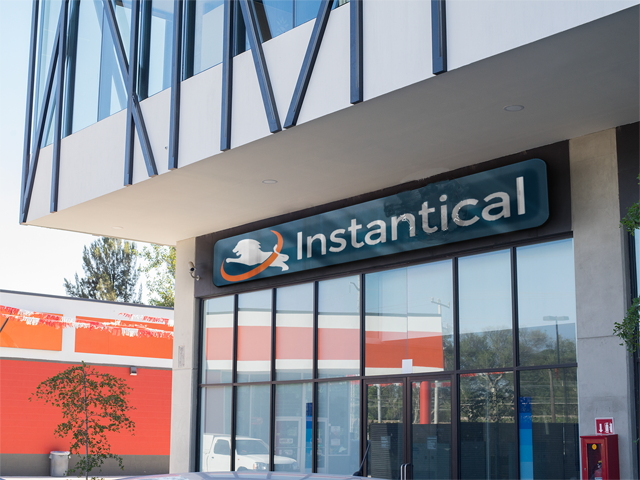 Have a need for Instantical's brand resources? Great! We've prepared a set of useful information and images for you. Do you need something more? Let us know at contact@instantical.com. Interviews for podcasts, advertisment banners on your website, guest posts for your blog - simply let us know what you have in mind. 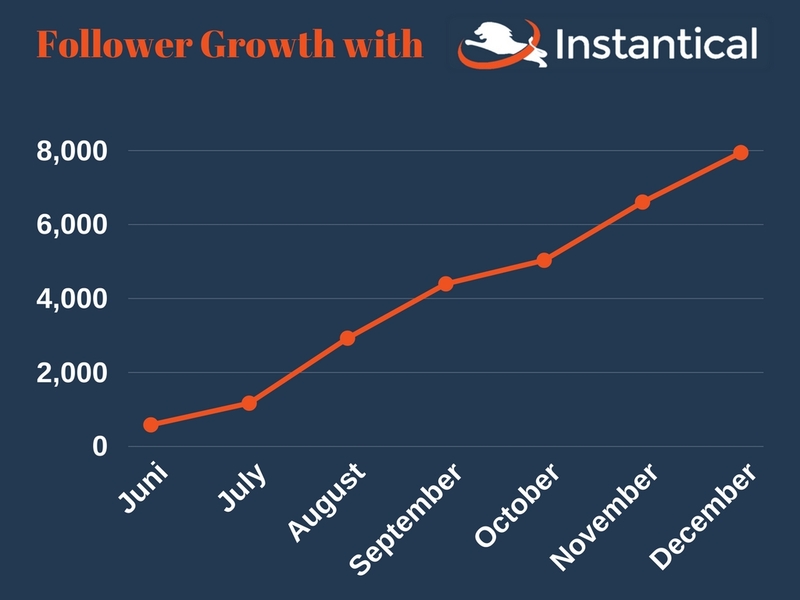 Instantical is a Software-as-a-Service to promote and grow Instagram channels. 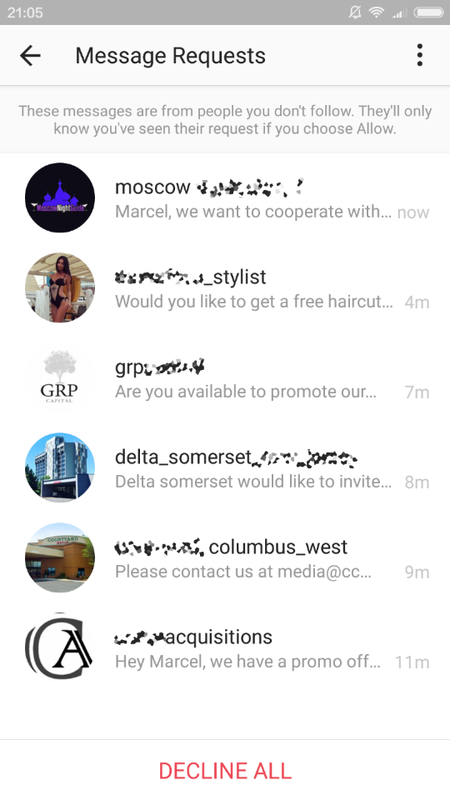 It was designed to give users the opportunity to grow their Instagram channels easily by automatically interacting with precisely-targeted real people. Trusted by 600 + personal & professional users. Used by such companies as Conor Acquisitions, Popular Demand, GRP Capital, National Hospitality Consulting Group, IG Casanova and Reisetopia. 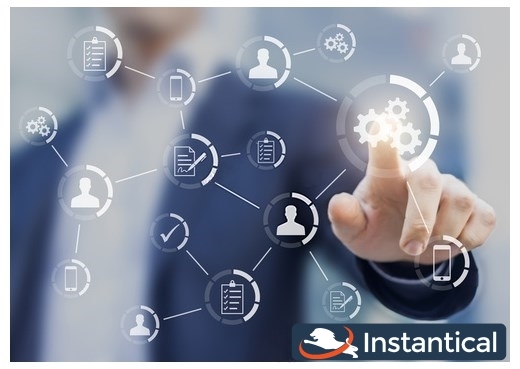 Adjustable targeting system: Select #hashtags, Locations or big accounts as sources for the automation. 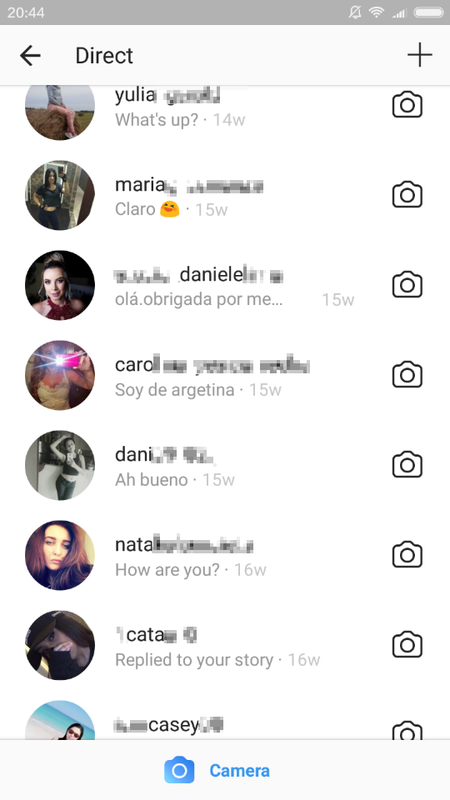 For example choose to automatically interact with people in New York, people who have used #travelgram or people who follow @cristiano_ronaldo. Filtering by Gender is also possible. Like Engagement Boost: All accounts that run on the automation like each others pictures. This gives up to 1000+ likes per picture which leads to a better position in the followers feed and on the 'explore' page. Comment Exchange group: Leave comments under other users pictures and get comments for your own pictures in return. This gives up to 20+ additional comments per picture which also supports the ranking score for the feed. Easy to set up: Only Email, Instagram username+password and payment details needed. The service was built with account safety in mind: As of today not a single customer's account has been suspended. Personal use: Optimizing your Instagam channel for online dating. Getting social-proof to increase the perceived value when girls look at the profile during day game. Automatically getting girls attention for online game. 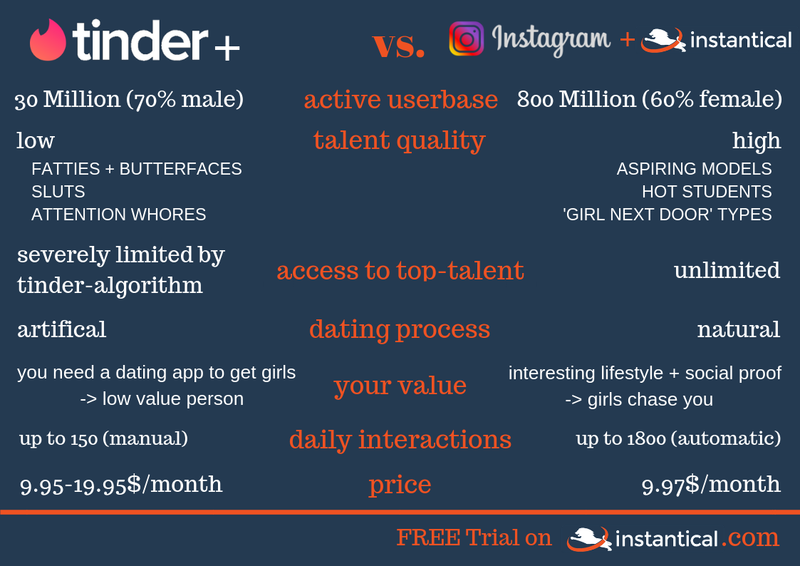 Replacing Tinder+ as dating tool. Celebrities, Models: Increasing the own reach and popularity to get more well-paid assignments. Bloggers, Influencers: Increasing the own reach and popularity to get sponsored cooperations with companies. Businesses: Getting the attention of potential customers for the fraction of the price of advertisments. More than 800 Million active users worldwide. Highest average engagement of all social networks. Focussed on user-generated media such as photos and short videos. Ideal to showcase yourself or your business.